Rich people in Gotham City don't fear too many things. With their high priced security systems they feel that themselves and all their fancy possessions will be safe from anything. Then, from out of nowhere, came a rush of robberies from safes that were said to be unbreakable. Rumors of a cat burglar who had the skills to steal anything began filling the city. And the rumors turned out to be true! That's right, Catwoman's on the prowl in Gotham City, and not even Batman can keep this cat in a cage. 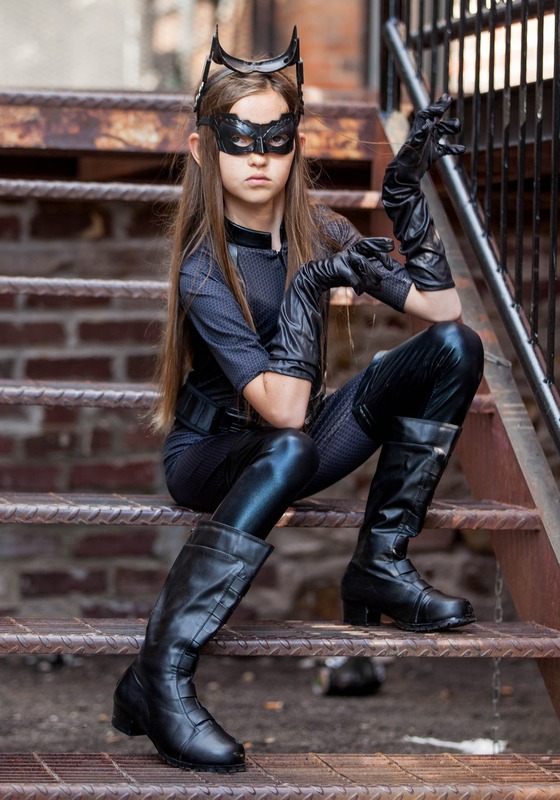 And now your little girl can become her, with this Dark Knight Rises Catwoman costume! She'll be climbing the curtains in excitement for this style, and she'll probably be ready to climb and jump into the most daring heists that the world has to offer (or just to get to the cookie jar before she's had her dinner)! 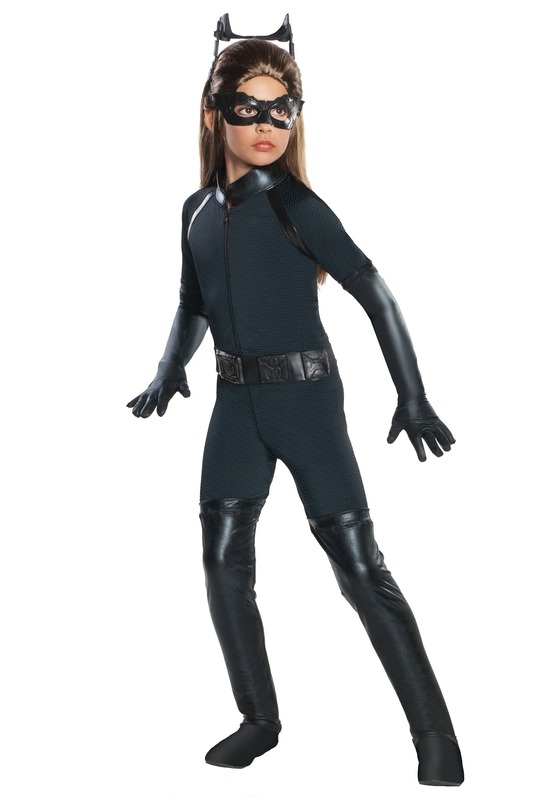 Just be careful if you get a young one in a Batman costume to team up your girl in this one. They make look like they make a great team but they always end up fighting like cats and dog! (Or is it cats and bats?) Either way, they'll only work together if they're forced to which seems to be a trend for siblings anyways. So whether saving Gotham City or going on her own adventure, get her this super cool costume to bring the movie action to life! Great for cooler weather--can layer underneath. Comfortable material, just snagged easily. Mask and ears made of sturdy material. I would recommend to buy. My 8 year old daughter saw this and needed to have it. It looks exactly like the picture. We love the way it fits. Bought size Medium. Fits perfect she is a size 7/8. Quality is good too! Can't wait for Halloween! True to size and confortable.